Rising in the southeast this week around 7 o'clock, and well up by 8:30, is a faint wallflower of a constellation, but one that offers a big smile if you can find it. In fact, it is often referred to as the 'smile in the sky': Capricornus the Seagoat. This constellation has come down through the ages unaltered in form. In the ancient star atlases, Capricornus was depicted as a goat with the tail of a fish. The constellation resides in a region once known as 'the Sea.' But more on that later. 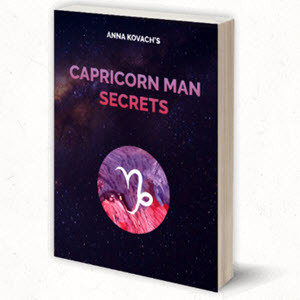 According to astronomer-mythologist Elijah Burritt, Capricornus is associated with the god Pan. One day, while Pan was feasting with Jupiter and some other deities near the banks of the Nile River, the giant monster Typhon suddenly emerged from the underworld and attacked them, scattering the assemblage in all directions. In an attempt to hide themselves, each deity assumed a different shape. Pan, who had leapt into the river, turned his head and upper torso into a goat and his lower body, which was submerged, into a fish. When Pan emerged from the river, he discovered that Typhon had torn Jupiter's legs and arms from his body. Pan blew such a loud, shrill note on his pipe that it frightened Typhon away. Then Pan retrieved Jupiter's scattered limbs and tied them back on his body, allowing the god to move once more. Jupiter then struck Typhon with one of his thunderbolts, sending the creature back to the underworld to lick his wounds. The fourth century Latin grammarian Macrobius states that the Chaldeans, the ancient Semitic people of Babylonia, named the constellation the 'Wild Goat' because the Sun, after heading south for several months, always began its climb northward again when it reached this point in the sky. (Goats are known for their mountain-climbing abilities.) Indeed, Earth's Tropic of Capricorn region was so named because the southernmost point of the Sun's path used to be in this constellation. It has since shifted west into Sagittarius. • •• 1 ^ . 13 - 19). Capricornus lies just below a line drawn between these two stars. This is a dim region of the sky, and even the brightest members of Capricornus hover only between magnitude 3 and 4. When traced out on the sky, they form a kind of Cheshire-cat smile. The brightest member, Deneb Algiedi (8), marks the corner of the smile on the east, while Nu (v) Capricorni, and Alpha (a) 1 (also known as Fredi) and Alpha (a) 2 Capricorni mark the western corner. Theta (9), a hard-to-see magnitude 4.07 star, marks the middle of the smile's 'upper lip.' The lower half of the smile is outlined by Zeta (Z) in the east, Omega (ra), in the middle, and, the constellation's second-brightest star, Beta (P), just below Alpha 1 and Alpha 2 on the western side of the smile. Capricornus is the leading constellation of a group of beings that either inhabit the water or have some aqueous purpose. They are all well up in the sky by midnight and include Aquarius the Water Bearer, north and east of Capricornus; Piscis Austrinus the Southern Fish, south and east of same; Pisces the Fishes, south of the Great Square of Pegasus; and Cetus the Whale, south of Pisces. Sometimes included is the sinuous constellation Eridanus the River, which lies even further east nearer the winter constellations. Eridanus doesn't rise this time of year, however, until the wee hours, 2:30 or 3 a.m.
For observers equipped with telescopes, Capricornus contains only one deep-sky object of note, the small, dim globular cluster M30, which lies a few degrees east-southeast of Zeta (Q Capricorni. Just outside the constellation's border north of Theta Capricorni, you'll find M72, another modest globular, and the Saturn Nebula, a small but bright planetary nebula. In the same vicinity is M73, which is actually only an asterism of four or five stars. To the west, at the easternmost extreme of Sagittarius, is M75, a compact but fairly distinct globular cluster. • Vega in Lyra is overhead for observers in the northern sky at dusk.